The National Assembly committee on Energy, Communication and Information now wants the rollout of the thin SIM technology by Equity Bank halted until an independent audit on its use is conducted. The bank was given the go-ahead by the Communications Authority of Kenya (CA) to start using the technology through its licensed Mobile Virtual Network Operator, Finserve Africa Limited on Monday. 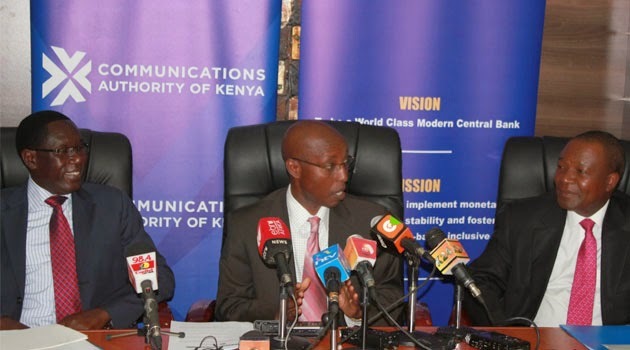 Addressing the media on Wednesday, committee chairman Jamleck Kamau asked CA to stop the process and allow an independent team of experts to be set up to ascertain if use of the thin SIM will not interfere with consumer privacy. “The reason why we came up with this decision is because the committee is still apprehensive of the thin SIM technology use in this country. The Standing Orders allow Parliament to hire an independent expert to look at these kind of things,” Kamau, who is also the Kigumo legislator, said. The committee maintains that Parliament has an oversight role in any matter that involves Kenyans and should not be ignored by the authority despite it being an independent body. The committee has in the meantime established an 11-member sub-committee which is expected to receive the report from the independent experts. When asked what recourse they had if the process continues, Kamau said: “If CA continues, I guess we will cross the bridge when we get there. But I think the point is very clear, this matter is under investigation under Parliament and for CA, if they want to continue they will have to face the consequences,” Kamau said. Rarieda MP Nicholas Gumbo who is expected to chair the sub-committee said there was no reason for CA to hurry the process when there are still pending issues. “If it is true that the introduction of the thin SIM has the potential to manipulate data, what protection have they put in place? This is the reason why, we as a committee have in no uncertain terms issued our clear verdict that the process has to be halted until we get an independent report in as far as the protection of the public is concerned,” Gumbo emphasised. On September 9, the committee had suspended the move following security concerns raised by Safaricom that would come with overlapping of the thin SIM on the other normal SIM cards. But while announcing its decision on Monday, the CA board maintained that they had done enough investigations using two private firms which approved that the thin SIM use was safe. The authority had also announced plans to hire a private independent company which will keep on checking on the hitches that may arise during the one year testing period. Other licensed Mobile Virtual Network Operator by CA are Zioncell Kenya Limited and MobilePay Limited all of which will be hosted by Airtel Kenya.